Nicotra.Org - Nicotra Genealogy and Family Tree Website. This web site is dedicated to the pursuit of information that will help track the Nicotra lineage internationally and thereby provide a legacy for future generations. Document genealogical information specifically for the surname Nicotra. Build an extensive genealogical database specific to the surname Nicotra. Assist Nicotra's in compiling their own family tree and tracking ancestors. Assist Nicotra's in locating living family or relatives. Provide an online family tree generator for specific Nicotra family lines. Provide an online forum and contact point for Nicotra's worldwide. 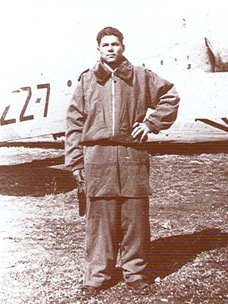 Provide a medium to collate Biographical Stories or Historical recounts. 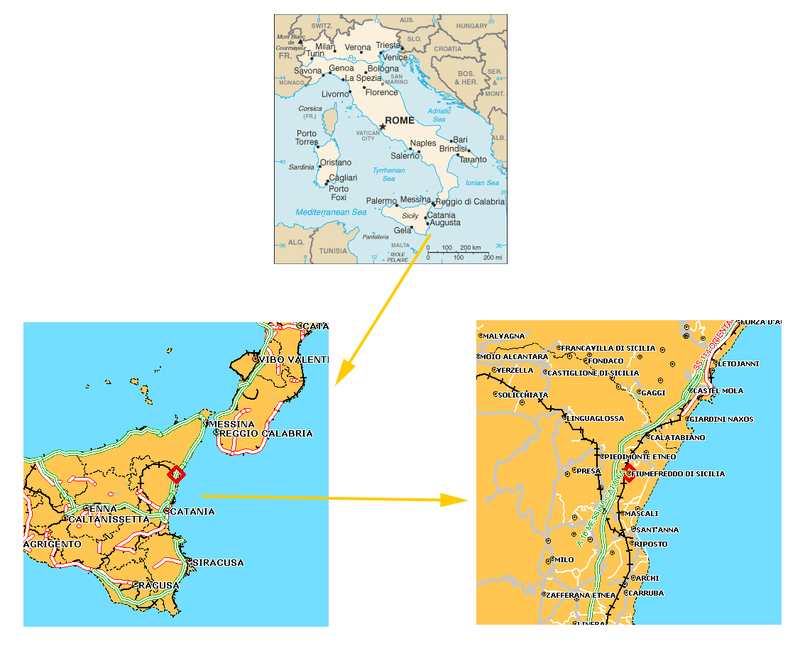 Nicotra - Originating in the Sicilian Province of Catania. 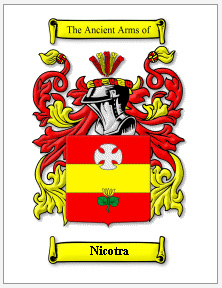 It is a reduced form of the name Nicotera, a habitational name from Nicotera in Calabria, derived from the Greek Nikoteras meaning 'Portatore di Vittoria' (Deliverer of Victory). Spelling variations include Nicotri, Nicoteri, Niccotera, Niccoteri, Necotra (USA) & others. Welcome Aurelia Jane Nicotra born on 5 Jan 2010 at 10:22 am to Vince and Kelly Nicotra. Vince's parents Geno & Angie Nicotra of Brisbane are reportedly over the moon. This section contains an online photo album of people or anything Nicotra specific. Contributions are always welcome from any Nicotra family. For only Aus $20 per year you can have your very own Nicotra.org email address and at the same time help this genealogy project continue. Interested in doing your own genealogical research or learning more about people or places mentioned in this website? Check out our favourites link page.